Not so long ago I spent a few days biking in Gran Canaria surrounded by orange trees in blossom. I thought it smelled so good that I wanted to bake a cake flavored with it. 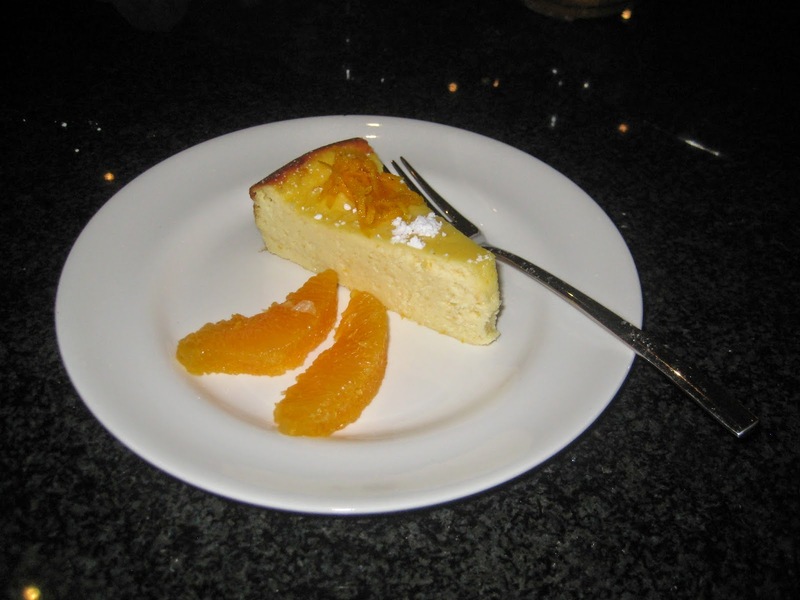 I found a few orange cheesecake recipes so I went on to try and optimize one to my taste. 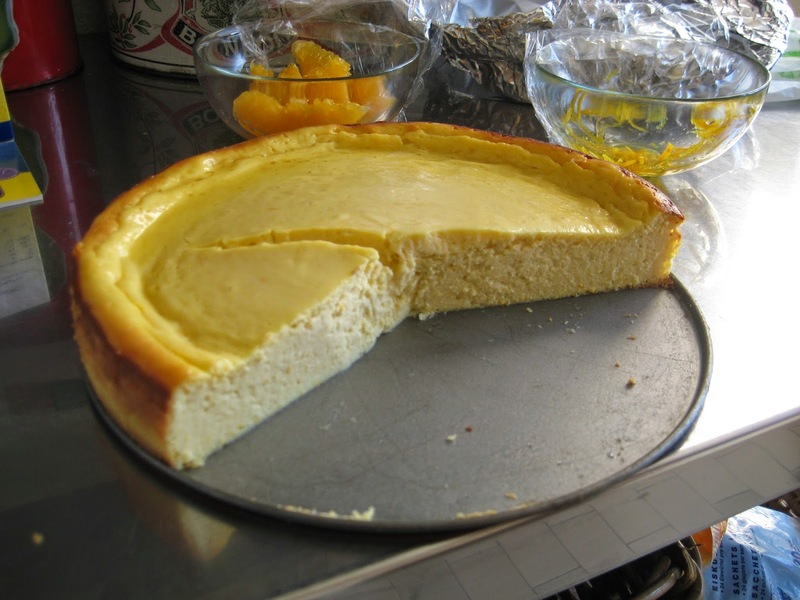 I already posted a cheesecake recipe here last year which I like very very much. Here I am making it with ricotta cheese instead of cream cheese giving the cake a more granulous texture. I am also leaving out the biscuit layer underneath to focus more on the ricotta and orange blossom flavors. 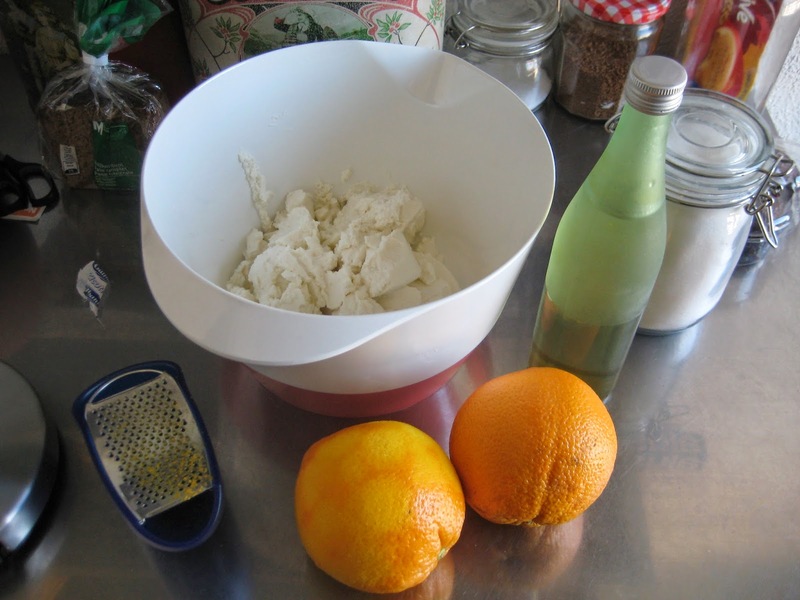 And finally I am including quite a dose of orange blossom water from Lebanon which smells so so good :-) So if you are looking for an easy recipe for the holidays, try this one! Happy Easter! Beat up ricotta, sugar and flour. 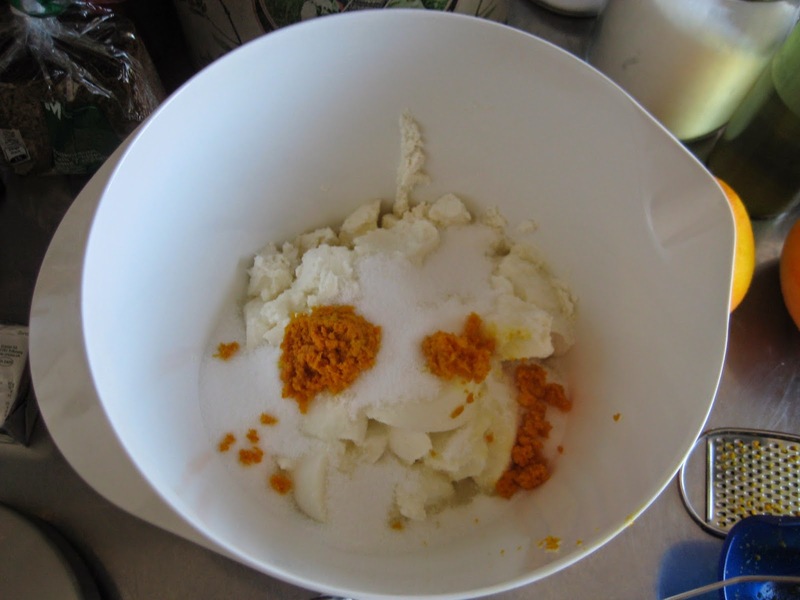 Add orange zest, water, and vanilla while beating. Add eggs 1 by 1 while beating. 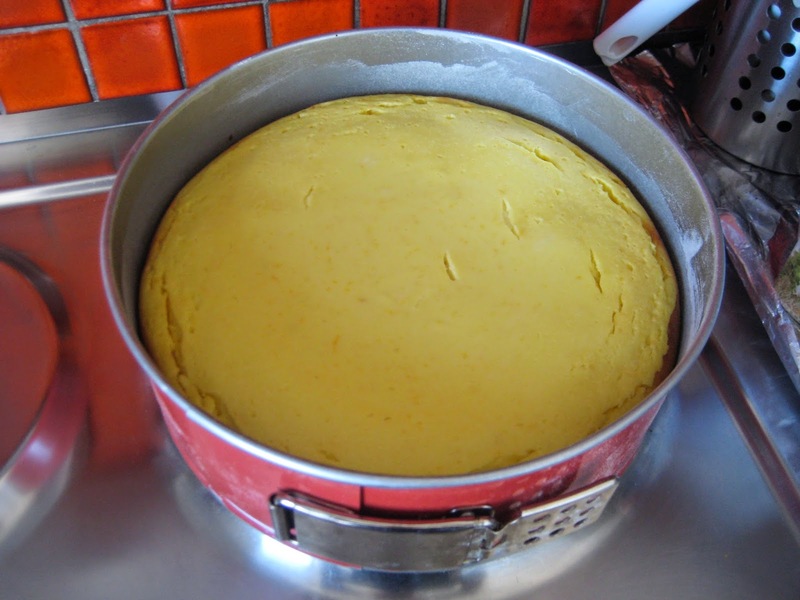 Pour the batter in a prepared (buttered + floured) springform and bake approx. 55 min at 180 C. Cool the cake at room T prior to refrigerating it for at least 3 hrs (preferably overnight). 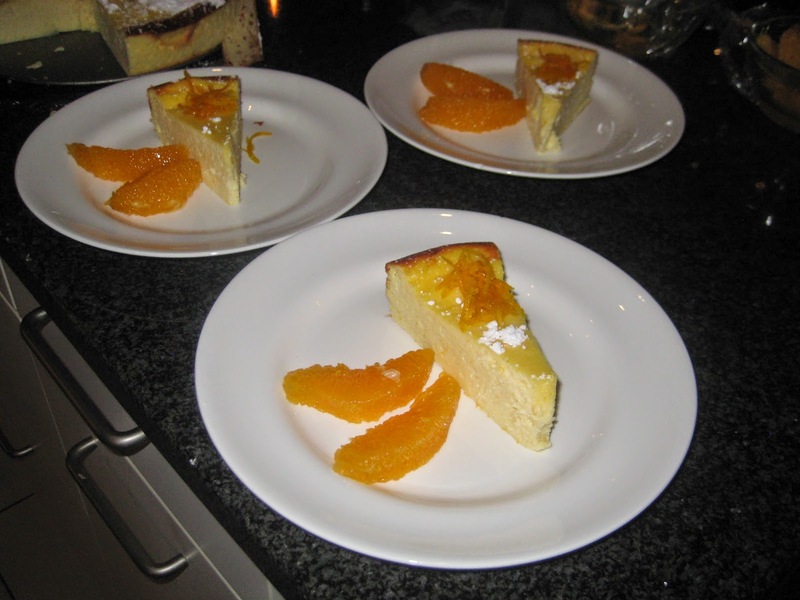 Decorate the cake with powder sugar and candied orange zest slices (let them rest in some lemon juice + sugar). Serve with orange slices/quarters.